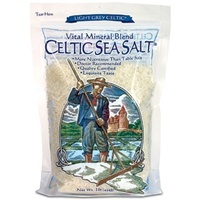 Celtic Sea Salt® Brand Flower of the Ocean® is a natural phenomenon of the salt flats of Northern France. Only when the weather conditions are just right do these small, delicate crystals form naturally on the surface of the salt brine. 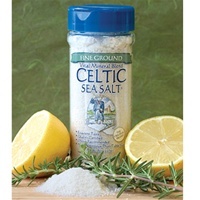 Look closely at this naturally white salt and you will notice a pink tint that bespeaks its precious character. Flower of the Ocean® has an elegant, complex, delicate flavor balanced with a hint of sweetness. 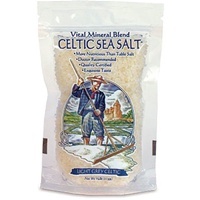 Most people choose to save Flower of the Ocean® as a “finishing” salt (sprinkled over foods just before serving), but it can be used in cooking, or ground and used in baking. 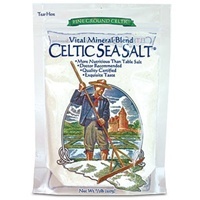 Flower of the Ocean® also makes an excellent margarita salt. 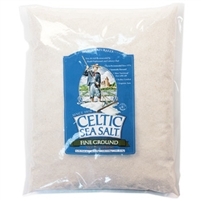 This fleur de sel is a certified gourmet kosher sea salt.